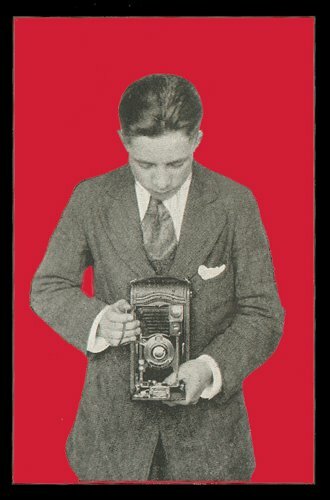 "An artist is an artist only because of his exquisite sense of beauty, a sense which shows him intoxicating pleasures, but which at the same time implies and contains an equally exquisite sense of all deformities and all disproportion." Charles Baudelaire on Edgar Allan Poe, 1856. "Well, could you play a car crash with an electric guitar?" Patti Smith and Lenny Kaye performed together for the first time on February 10, 1971 at The Poetry Project at the St. Marks Church in New York City. It was also the first time an electric guitar had ever been played at the church, and Lenny uses it to demonstrate the auditory car crash sounds in "Ballad of a Bad Boy," one of four selections from this rarely heard performance, and would serve as the the first of many collaborations between these two. 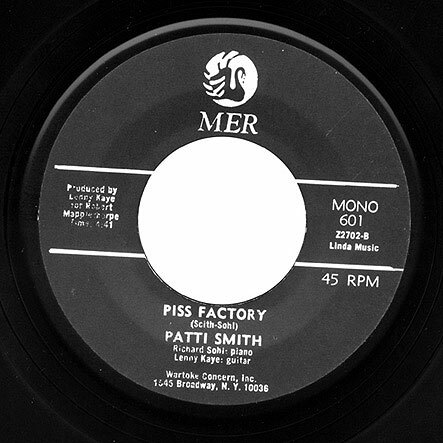 Later becoming the Patti Smith Group, they helped to forge a new alliance between rock n roll, art and poetry in New York's punk scene of the mid 1970s. 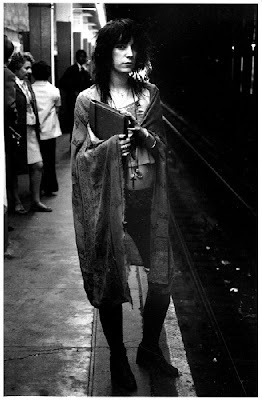 The historic venues in New York where they originally played before touring the world are now all gone except for The Poetry Project which tonight will host their return in celebration of the 40th anniversary of that first performance. So, if you're in New York City, you might wanna check it out. 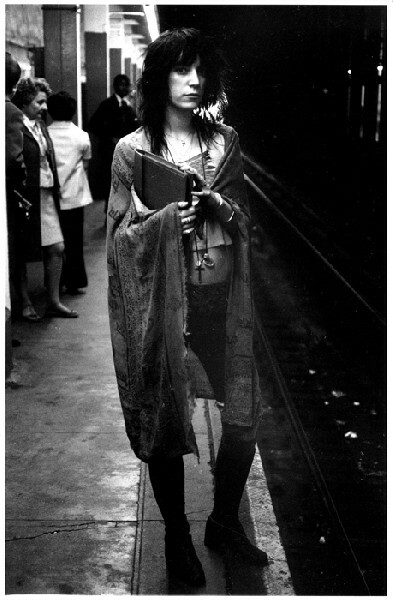 by Patti Smith and Lenny Kaye, 1971.
top photo: Patti Smith in Subway, 1971. by Gerard Malanga. Once upon a time there was a band from Glasgow named Orange Juice. Formed as punk rock group the Nu-Sonics in the late 70s, they went on to record several records that flirted with rock, pop, soul and disco sounds, all the while being audaciously twee and unafraid to use major seventh chords. The singer and frontman Edwyn Collins, had an unusual feylike baritone voice sounding at times like (among others) Bela Lugosi. Collins, also displayed an unusual and unique guitar style, that when interweaved with original OJ guitar player James Kirk could conjure up an Anglo-like version of Television. 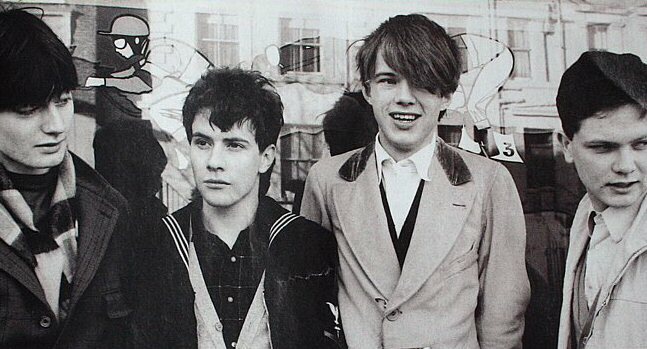 They were brilliant and virtually unknown on these shores (they never played in the US) and went on to influence countless bands in the UK, including Belle and Sebastian, the Teenage Fanclub, The Smiths, and Aztec Camera. A few months ago Domino Records released a long overdue career spanning box set compiling their singles, LPs, some rarities and BBC recordings from the John Peel Show as well as a DVD: seven discs in all. 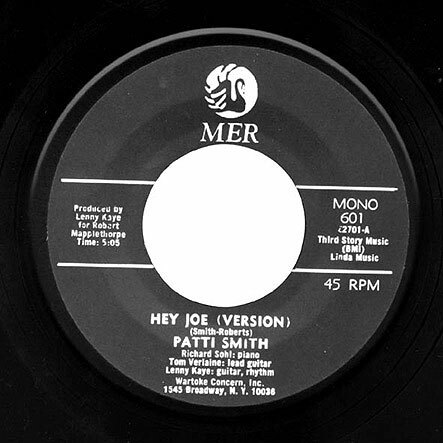 Most of their catalog has been out of print or only available as expensive imports for several years. In conjunction with Domino Records, we are offering the first ever giveaway here at the Boogie Woogie Flu. 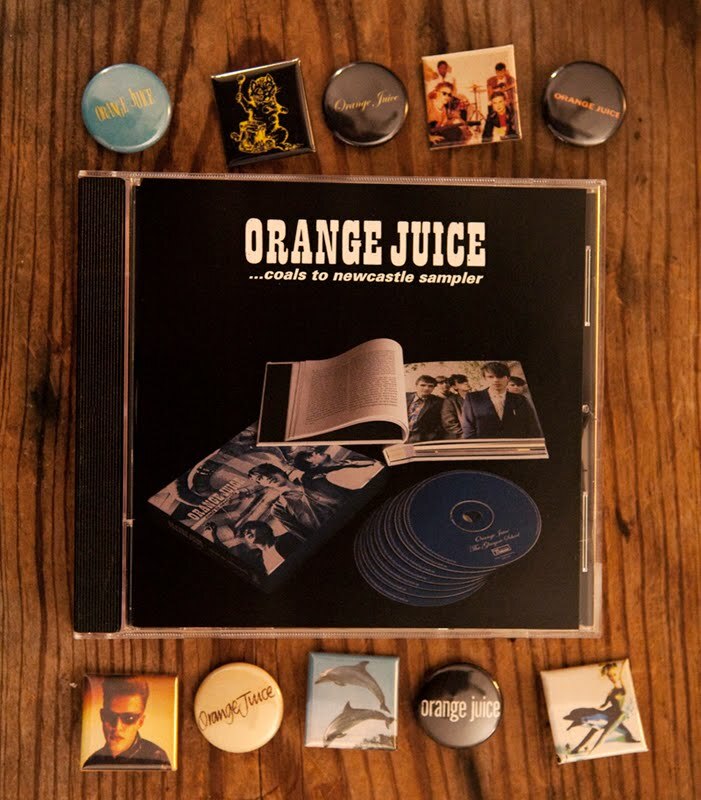 An 18 song sampler from Coals to Newcastle plus 10 groovy Orange Juice pins, pictured below. We have three of these packages to give away. If you'd like one, send an email with your mailing address (US Residents only) to boogiewoogieflu@gmail.com and explain in 25 words or less why you want it. These will go fast. Good luck.